Then wash and halve the plums. 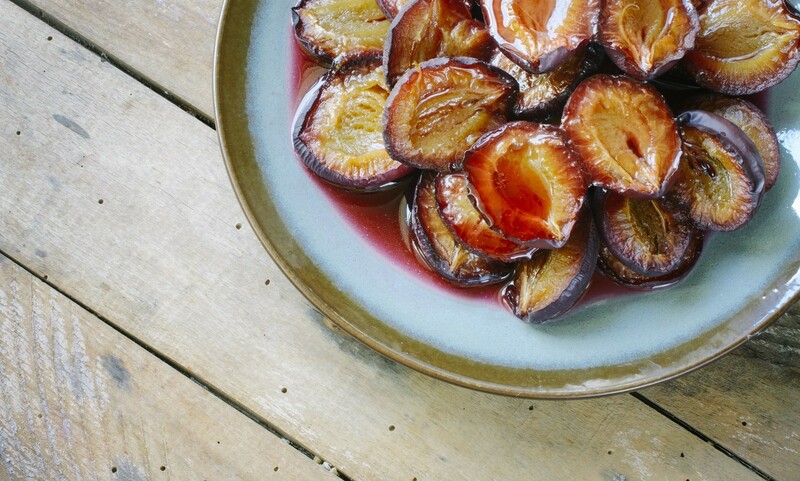 Remove the pits of the plums and place them in a large bowl with the lemon juice. Add the stevia to the lemon juice and toss the plums in it once again. Next, take a large baking dish and place the plums with the cut side up in the dish. Put them in the oven and roast them for about 20 to 25 minutes. Be cautious of the juices in the pan burning, if this happens just add a little water and cover the pan with aluminum foil. Remove the dish and allow them to cool before putting them on a platter to serve.